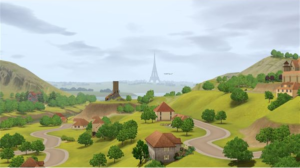 Sims have feelings in "The Sims 3" and can be affected by their surroundings, and even just how they feel when they wake up. Find out what things will make your Sim feel lucky, attractive, or perhaps not so lucky or unattractive with this guide for personal moodlets. Feeling Lucky – lasts for 23 hours and has a positive 5 mood effect. Your Sim will receive this moodlet randomly after they wake up, if they have the Lucky trait. If your Sim is lucky enough to receive this moodlet, they will be less likely to burn things, being robbed, or anything else negative. Feeling Unlucky – lasts for 23 hours and has a negative 5 mood effect. Your Sim will receive this moodlet randomly after they are woken up, if they have the Unlucky trait. Celebrated Birthday – lasts for 24 hours and has a positive 40 mood effect. Your Sim will receive this moodlet after they have celebrated their birthday and eaten their birthday cake. Tranquil – lasts for 8 hours and has a positive 10 mood effect. Your Sim will receive this moodlet when taking a bubble bath with the “Worlds Brew Bubble Bath.” Sims can also sometimes receive this from traveling in time with a Sims 3 time machine, neurotic Sims that “Freak Out” or from walking over a Floor Hygienator. Attractive – this is one of the Sims 3 personal moodlets that lasts for 5 hours and has a positive 10 mood effect. Your Sim will receive this moodlet after they gussied up in front of the mirror. Hey, even Sims like to look good! I Am Beautiful – lasts for 4 hours and has a positive 10 mood effect. Your Sim will receive this moodlet after they admired themselves in the mirror. Sims must have the Snob trait for this. Winner! – lasts for 8 hours and has a positive 25 mood effect. Your Sim will receive this moodlet after they won a game or a fight. Got a Good Deal – lasts for 8 hours and has a positive 10 mood effect. Your Sim will receive this moodlet if they have the Frugal Sims 3 trait and used coupons to get a good deal at either the Grocery Store or Day Spa. Returned Stolen Property – lasts for 8 hours and has a positive 15 mood effect. Your Sim will receive this moodlet after they have returned an item they stole from a friend or neighbor. Sims that have the Kleptomaniac trait can steal items, so this moodlet is only available for those little thieves! Celebrity – lasts for 2 hours and has a positive 30 mood effect. 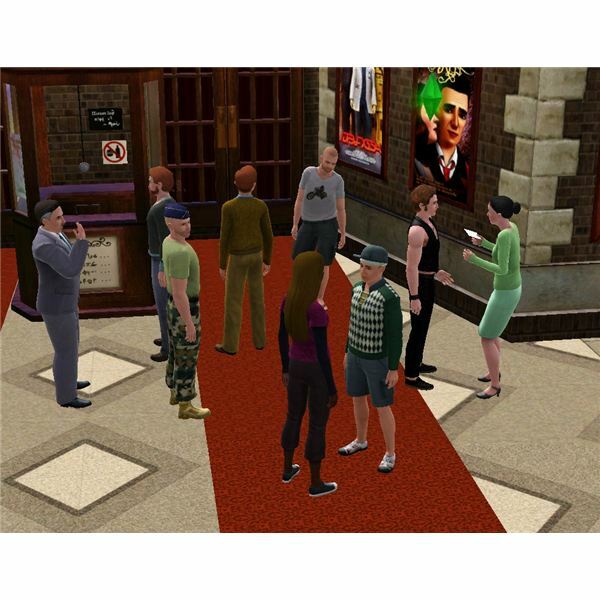 Your Sim will receive this moodlet after they have reached the top of the Music Career and have held an “Autograph Session” for their fans at the stadium or the theatre. Not to be confused with The Sims 3 celebrity status. Fulfilled – this is one of the Sims 3 personal moodlets that lasts for 6 hours and has a positive 15 mood effect. Your Sim will receive this moodlet after they have completed a wish (not their Lifetime Wish). Very Fulfilled – lasts for 7 days and has a positive 15 mood effect. Your Sim will receive this moodlet after they have completed their Lifetime Wish. Eye Candy (from The Sims 3: World Adventures) – lasts for 30 minutes and has a positive 10 mood effect. Your Sim will receive this moodlet randomly when they are near another Sim that has the “Eye Candy” Sims 3 Lifetime Reward. Made a Good Sale (from The Sims 3: Ambitions) – lasts for 4 hours and has a positive 10 mood effect. Your Sim will receive this moodlet when they sold an item at the Consignment Store for more than it was worth. Short Out (from The Sims 3: Ambitions) – lasts for 4 hours and has a negative 50 mood effect. Your SimBot will receive this moodlet when they are broken. Chilly (from The Sims 3: Ambitions) – lasts for 2 hours and has a negative 15 mood effect. Your Sim will receive this moodlet when they sit on a sculpture made out of ice. 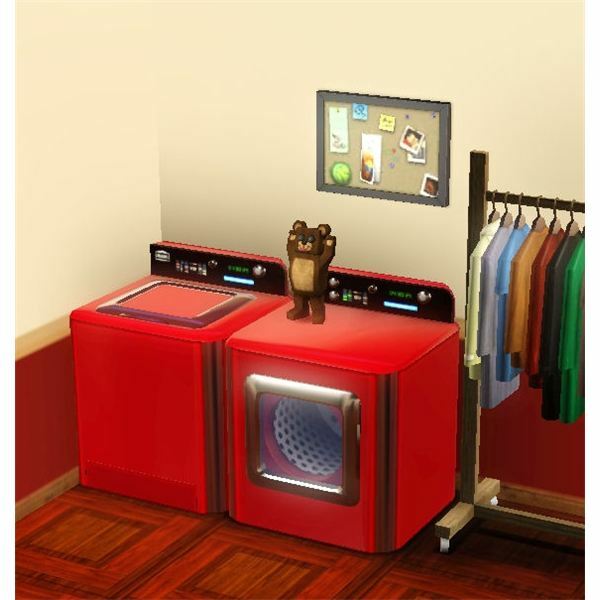 Victory Over Washer (from The Sims 3: Ambitions) – lasts for 1 hour and has a positive 20 mood effect. Your Sim will receive this moodlet when they have subdued their washing machine and won! Defeated By Washer (from The Sims 3: Ambitions) – lasts for 1 hour and has a negative 15 mood effect. Your Sim will receive this moodlet when they have lost a battle against their washing machine. Fresh Clothing (from The Sims 3: Ambitions) – lasts for 16 hours or up to 2 days and has a positive 15 to 19 mood effect. Your Sim will receive this moodlet from having clean laundry. The higher the amount of effect is based on if your Sim has installed a system upgrade to the washer or dryer. Very Fresh Clothing (from The Sims 3: Ambitions) – lasts for 16 hours or up to 2 days and has a positive 25 to 32 mood effect. Your Sim will receive this moodlet from having clean laundry. The higher the amount of effect is based on if your Sim has installed a system upgrade to the washer or dryer. You could also find a Sims 3 Mysterious Mr. Gnome from the laundry! Unusual Blemish (from The Sims 3: Late Night) – this is one of the personal moodlets in The Sims 3 that is caused by a vampire bite and has no mood effect. It will sometimes transform your Sim into a Sims 3 vampire though! Had Star Tantrum (from The Sims 3: Late Night) – this is one of the personal moodlets in The Sims 3 that your Sim needs to be a Professional Actor for. This moodlet lasts for 5 hours and has a positive 20 mood effect. This series is all about The Sims 3 moodlets. Find out about each type of moodlet available and how it affects your Sims’ mood throughout the game.